On Boxing Day, like most families, we generally end up going for a walk. 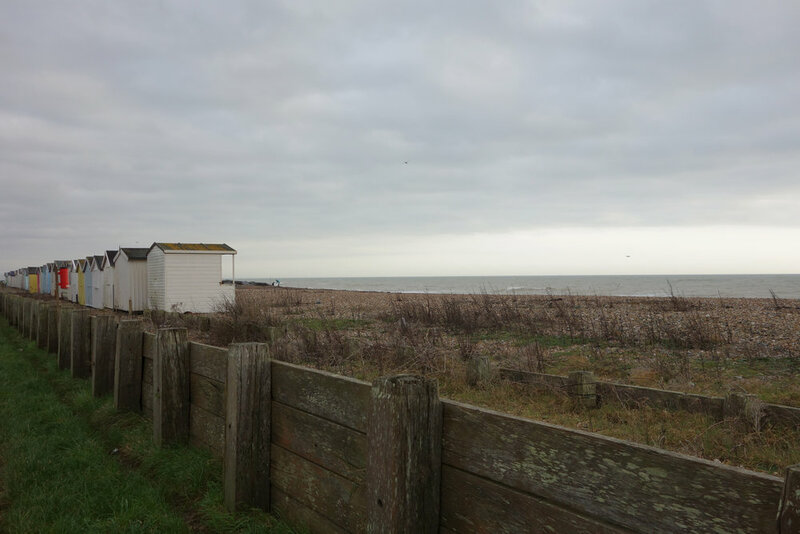 This year we went to visit my nan and meet up with my cousins to go for a walk on Lancing Beach. It was a wonderful blustery day which made the sea especially rough with crashing waves, just the thing you need to blow away the cobwebs from all the Christmas food. Possibly one of the best things about the walk was the amount of dogs that were being taken on Boxing Day walks there. We came across a super cute curly haired puppy who was just so excited it was impossible to take a good photo as he moved much too fast! It was so lovely to spend some time with family and hear all the news about what's going on in my cousins lives, especially as we don't see each other all that often. After our walk we all ended up falling asleep on the sofa watching Gambit which was on BBC iPlayer, in the end I think dad was the only one who stayed awake for the whole thing! The rest of the evening, once we had finally all woken up, was spent eating leftover Christmas dinner in front of the fire and watching About Time on Netflix. It's such a great film although it does make me cry in parts. For me Christmas is all about family time so getting to spend as much time with them as I can is always a plus, especially when good food is involved. This Christmas we were also treated to my niece running around with her new Frozen doll which sings, so for the whole of the festive period I've had 'Let It Go' stuck in my head...in Spanish...as monster kept switching it to the Spanish setting, haha.